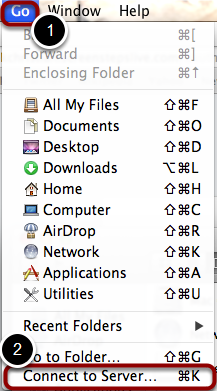 Click "Go" in the menu bar at the top-left corner of your screen to reveal a drop-down menu. From the drop-down menu, select "Connect to Server..."
In the Server Address box, type "smb://judah.oc.edu/InstRes"
Click on the Windows button to open the Start Menu. 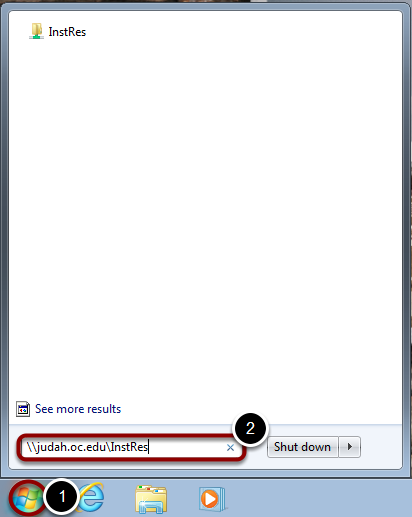 In the search box, type in "\\judah.oc.edu\InstRes"